Welcome back, ! You have successfully logged in. 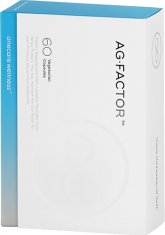 Ag-Factor™ is very effective in combating signs of aging. It is great for anyone who is troubled by dull complexion, uneven skin tone, wrinkles and sensitive skin. It will help brighten your skin to a radiant glow and leave it smoother and firmer. Ag-Factor™ also helps to detox your liver, blood and other major organs while boosting your immune system, hormone balance as well as other bodily functions. Great health and vitality, improved skin tone, smoother skin and fewer wrinkles. The secret to staying young is to provide your body and skin with the right nourishment. From ancient times, milk has been associated with beauty, an elixir to fight the effects of aging. The cysteine peptides in Ag-Factor™ are derived from milk through sophisticated separation technology and patent-pending knowledge. The result is a lactose-free and highly nutritious milk component (whey protein). Cysteine is a powerful component for regaining youthful skin and safeguarding the brain and other internal organs from the harmful effects of free radicals. How young we look for our age is determined by the body’s most powerful antioxidant, glutathione. However, after the age of 20, the production of glutathione starts to decline. Cysteine is a precursor of glutathione, an antioxidant that is prevalent in every cell of the human body, especially in the liver. Glutathione not only defends our body from the effects of aging, it also neutralises toxic pollutants and plays an effective role in preventing diseases. Maintain our health, protection against illness. Help our kidneys, lungs, & liver to detox, neutralize & expel toxins naturally. Promote the production of pheomelanin, a red-yellow form of melanin pigment, prevalent in people with fair skin. Skin discolorations and uneven skin tone that are caused by pockmarks and brown spots can be greatly improved, to restore an even skin tone. Inhibit PGE2 production(principal mediator of inflammation of the skin). If left unchecked, inflammation will over time lead to a further breakdown of important structural proteins in the skin. Help to restore a smoother skin and reduce the appearance of freckles, melasma, age spots, dark spots and other pigmentation problems. Zinc (Zn) and copper (Cu), once bound to protein, have been shown to be very effective in regenerating cell tissue and increasing the synthesis of structural proteins such as collagen. Support the natural protein structure of the skin and assist the skin in binding moisture. The proteins in Ag-Factor™ have a significant, rapid and long-term effect on skin firmness through increased skin elasticity and moisture retention. Ag-Factor™ allows your body to produce glutathione, the body’s natural antioxidant. Glutathione is produced primarily in the liver and helps cleanse toxins and stimulants from the body. The liver cleanses toxins (xenobiotics) by converting them to water-soluble metabolites, which can be expelled from the body by the kidneys. Cleansing stimulants from your blood allows you to sleep better and leaves you more energetic! 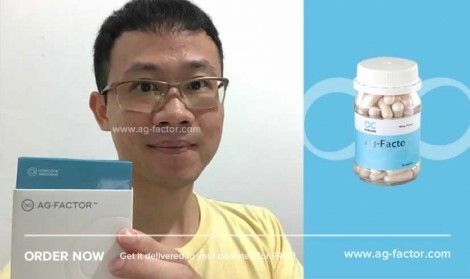 Ag-Factor™ works by naturally enabling your body to function more intelligently, producing its own Glutathione and Collagen, instead of forcing it to absorb them from external sources and synthetic ingredients. Ag-Factor™ Allows Your Body To Decide What It Really Needs! The full spectrum of amino acids in Ag-Factor™ can trigger the body to produce its own source of collagen. You can enable your body to produce glutathione (a powerful antioxidant that fights free radicals) to intercept, combat and vanquish rampaging oxygen molecules and even repair some of the damage they cause. What does Ag-Factor™ have to do with Glutathione? Ag-Factor™ benefits the liver and the body’s antioxidant redox state. 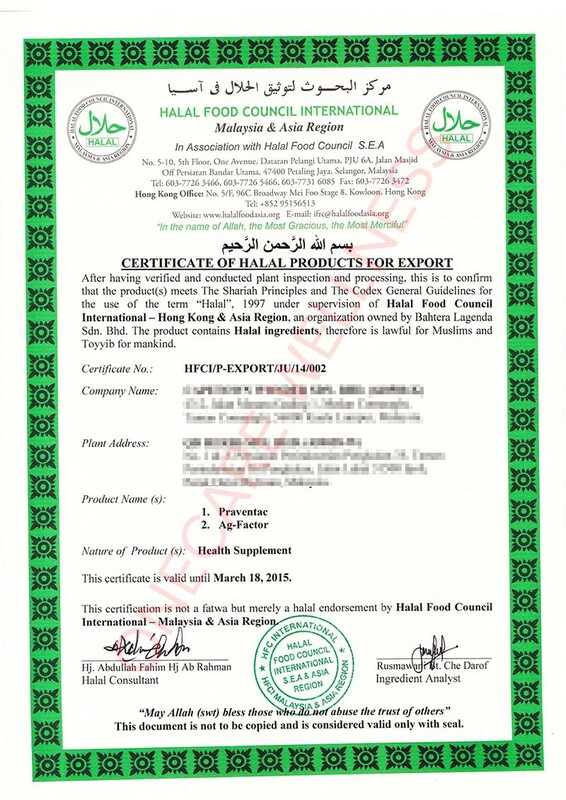 It is a whey protein hydrolysate manufactured under carefully controlled conditions using food grade enzymes (patent filed in the USA, Europe, and Japan). Ag-Factor™ contains high-quality cysteine (an amino acid) that is a building block of proteins that are used throughout the body. The body makes glutathione out of cysteine. The molecular size of Cysteine Peptide is only 1/4 size of that of collagen, allowing the body better absorbance. 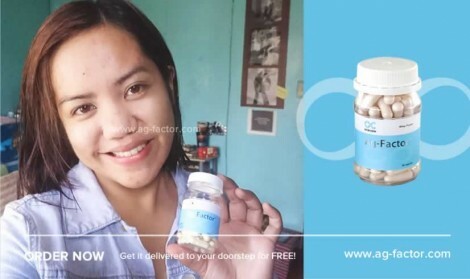 More Effective Than Collagen & Glutathione ! Ag-Factor™’s natural peptide-bonded form of Cysteine has been shown to better boost the levels of glutathione produced in the liver compared to other naturally sourced amino acids such as porcine source collagen (the most absorbable collagen compared to marine and bovine). To get the same amount of Cysteine found in Ag-Factor™ —if you are taking hydrolyzed collagen, you will need to consume at least 16-24gm per day. The amount of collagen normally found in most supplements is less than 5gms. Do the math. If collagen is three to ten times less effective than Cysteine Peptide and you are only getting 30% per day—are you getting value for your money? Do collagen supplements only give short-term results? In recent years, many beauty companies have introduced a wide range of collagen products for those who wish to sustain a youthful appearance with smooth skin etc. The response and feedback from most collagen users, however, is that collagen only provides short-term results. Once they stop taking it, skin rapidly returns to its previous state within a mere few weeks. The reason for this is that collagen breaks down easily, especially under the exposure to direct sunlight. This is why maintenance is necessary. So are we getting our money’s worth when we spend on such short-lived results, when we can choose to invest in something that promises more? Ag-Factor™ lightens your skin, giving you an even, creamy and radiant complexion. Ag-Factor™ promotes the body’s own natural antioxidant activity and the production of pheomelanin, a red-yellow form of melanin pigment, prevalent in people with fair skin. Oxidative stress from UV exposure and other environmental pollutants can lead to melanogenesis-- the production of brown-colour pigments associated with tanned skin. The antioxidants in Ag-Factor™ can slow or even reverse this process, resulting in a brightening effect for the skin. Simply nourish your skin internally? For skincare, there are a plethora of products that you can choose from. Varied by brand, function, medium, method of application etc.- the options are endless. But to obtain truly fairer and brighter skin, the best solution will always be to provide your body and skin with the right nourishment. Cysteine Peptides in Ag-Factor™ enables the body to produce more glutathione, which helps with natural skin brightening. If you find yourself wondering why childhood photos of many celebrities usually show a much darker skin tone than what they have now? You should know that contrary to popular belief, this is not the result of simply applying enough whitening cream. The real secret is to provide the body with the right nutrients that supports the regeneration of the skin. Plus, certain whitening cream has the potential of overdrying the skin, causing breakouts, and even lead to skin cancer. What is the difference between synthetically derived L-Cysteine (NAC) and naturally occurring bioactive Cysteine Peptide (Ag-Factor™) found in whey. Directly consuming Glutathione is pointless and ineffective. It is clinically proven that the body is incapable of absorbing direct oral intake of Glutathione. Therefore, no matter how many and often you pop those Glutathione pills into your mouth, your skin and body will not benefit from it. One way to get around that is to take it by the vein, that is through intravenous injections. But are you willing and prepared to stick a needle into yourself every day? 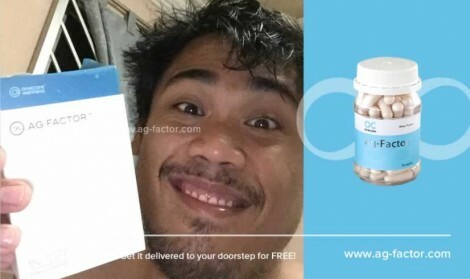 Whitening supplements on the market that claim to be 100% natural when, in truth, they are not. Synthetic Cysteine marketers want you to believe that there is no difference naturally occurring Cysteine and synthetic ones. This is because synthetics are easier to produce, thus carry a much higher profit margin. Most consumers fall for this misconception that is set up by marketers who prioritise profits over the health of their customers. Bioavailability means the extent to which a substance can be absorbed and used by the body. Although our mind might be fooled into buying synthetics, the human body automatically know the difference. Natural nutrients are absorbed readily as the body is biologically programmed to recognise the naturally occurring compounds as genuine nutrients. While isolated chemicals or synthetic “nutrients” are immediately put on hold until the body can determine the cofactors necessary to enable their availability. It has been found that 50% of every synthetic supplement is rendered useless by the body, leaving only 50% for possible conversion. Furthermore, there is no guarantee that any, of the remaining 50% will be converted. The natural nutrients of Ag-Factor™ are readily absorbed by the body as we are biologically programmed to recognise them as genuine nutrients. Ag-Factor™ is a bioactive “intelligent” food that can be absorbed by the body at an incredible rate of 99.99%. It consists of cysteine peptides, found in microscopic quantities in hydrolyzed whey protein (milk/cheese), which enables the body to self-produce glutathione & collagen. Cysteine can be biosynthesized from food in the human body, but only at a very minimal rate. You’d have to take an enormous amount of green vegetables in order to obtain the same amount of cysteine contained in one capsule of Ag-Factor™. In the case of milk, you’d need to drink 2000 glasses of grade A milk to obtain the same amount of cysteine contained in one capsule of Ag-Factor™. Grass; Cow’s main source of food which contains huge amount of Cysteine. I have lactose intolerance and can’t drink milk, can I still take Ag-Factor™? Ag-Factor™ contains extremely low amount of lactose, therefore will not trigger your symptoms. 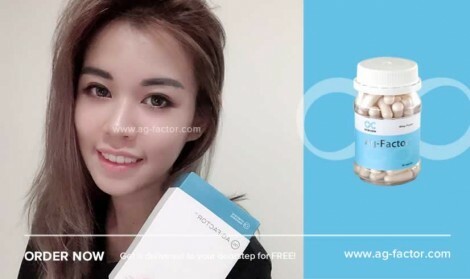 Ag-Factor help to clear the redness spots, It balance my skin tone and I look so much fairer now! I often have marks left from my pimples and Ag-Factor help to clear the redness spots. It balance my skin tone and I look so much fairer now! The dark spots on my skin started to lighten, the dark spots almost fade off! My skin look smooth, brighter and also helped to balanced my skin tone! Good product and effective! After a month taking AG factor, my skin look smooth, brighter and also helped to balanced my skin tone. Happy to see the results. Good product and effective. Really worth to buy it. Thank you AG factor. It is my second box actually and I can see the improvement of my scars! Ag Factor and Praventac helped me a lot to get rid of my acne naturally, a big why i am so in love with these two buddies!! It is my second box actually and I can see the improvement of my scars. 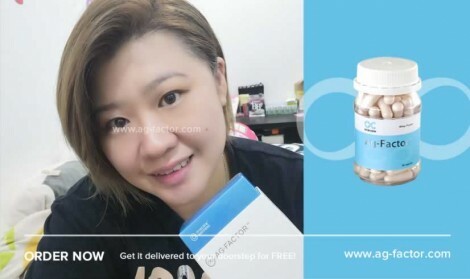 I take 2 tablets each everyday before I am going to sleep and wake up with a smile when my skin get better. One month and half and still counting. I’ve been using for 2 months and wow amazing result, clear up my pimples and pigmentation that makes me younger looking clearer skin! I am so thankful of Ag-Factor really it’s work worth it. I’ve been using for 2 months and wow amazing result, clear up my pimples and pigmentation that makes me younger looking clearer skin. I gonna be order another sets. My skin more radiant, smoothers and i feel so much younger than my current age! After a month taking AG factor, my skin more radiant, smoothers and i feel so much younger than my current age! Best product ever. 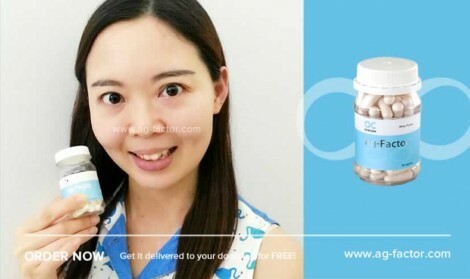 My skin become radiant and glow, even my friend noticed that my skin become brighter! My skin was uneven, dry and always look tired. 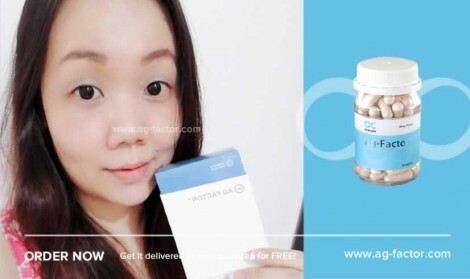 After consuming Ag-factor for 2 months and 2 weeks my skin become radiant and glow, even my friend noticed that my skin become brighter. I will continue use the product for the better result i want. Thank u Ag-Factor! My pigmentation lighten and my skin feel smoother! The skin redness and acne scars which have deeply blemished my skin gradually started to fade away, my menstruation period seemed to be attuned with my skin and body as i don't experience menstrual cramping anymore! It work fast, the acne scars faded! All testimonials can be found at Ag-Factor™'s official Facebook page, all comments are from our satisfied customers with their real profile. My 1st purchase. After 3 weeks , my skin allergy slightly getting better. (The duration for me to taking pills controlling the itchiness is prolonged). The whitening effect is not that obvious yet. But, I will continue to try for another 2 boxes to complete the 1 course duration for better results. I used to have occasional hormones outbreaks especially when it’s my time of the month In addition , I also had blemishes with scars n dull looking skin On the 15 day of my AG-Factor , I see improvements in my skin condition - it is ‘calmer’ & my scars n blemishes started to subside n lighten. Now I’m into my day 30 - I must say AG-Factor REALLY works as it claimed. 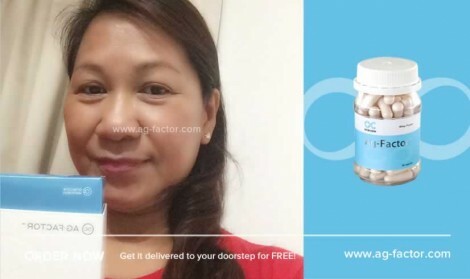 AG-Factor is definitely my LIFE SAVER n i am going to make it my life long skin supplement for my youthful n good skin. Inspect your face in the mirror after your cleaning routine. Take a mental picture of your skin’s condition. Then, proceed to consume 2 capsules of Ag-Factor™ before bedtime. How long before I can start seeing results? After taking Ag-Factor™ for 2-3 weeks, your skin will definitely feel smoother to the touch. Your skin tone will become lighter and appear noticeably brighter. You will achieve best results after 3 months. 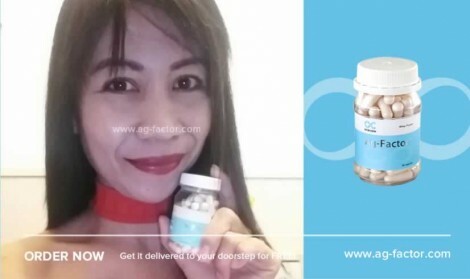 Ag-Factor™ works best when taken continuously for a period of at least 3 months. Ag-Factor™ detoxifies and restores health, youth and vitality, reconditioning your body to absorb the maximum hydrating and anti-aging benefits of Cera5™ to achieve optimal results. Hassle-free shopping, import duties and taxes borne by us. Pass product safety testing against the safety marks. 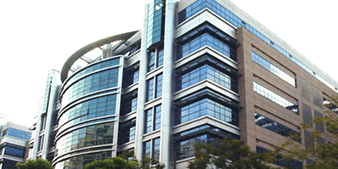 • Manufactured in a GMP Certified Facility. Whey Protein Hydrolysate | Whey protein contains amino acid cysteine, which enables the body to produce glutathione. Whey protein can increase cellular glutathione levels. Glutathione is a natural antioxidant that defends the body against free radical damages and certain toxins, while milk protein can reduce the risk of cancer. Glutathione is known as “The Master Antioxidant”. Pomegranate Extract | Pomegranate has excellent antioxidant properties. It has about three times more antioxidants gram for gram than red wine or green tea. It is an excellent agent for promoting blood flow to the heart. Studies have also shown that it helps to reduce plaque in the arteries, and raises levels of “good” cholesterol while lowering “bad” cholesterol. Mangosteen Extract | Mangosteen contains a huge amount of antioxidants, which is a compound that has the ability to slow down the aging process of cells and enhance your energy. Antioxidants are often considered as “Cure-All”. It also improves bone structure, skin condition and heart function as well as purifies blood. Kiwi Fruit Seeds | Kiwifruits help to maintain healthy and smooth skin attributing to its significant contribution to the process of collagen synthesis. Kiwifruits are packed with more vitamin C than an equivalent amount of oranges, helping to keep your skin firm and expedite healing of cuts and abrasions. Its rich vitamin E content assist in reducing fine lines and appearance of wrinkles, as well as the harmful effect of ultraviolet radiation on the skin. The antioxidants present in kiwifruits work as the perfect anti-aging agent, preventing your skin from early degeneration and keeping it rejuvenated. The nutrient-dense seeds of the kiwifruits store nutrients for the plants’ cultivation, growth and survival. Being rich in vitamin A, the seed is also a component to enhance skin and hair growth. Maintain Moisturized Skin from the Inside Out. Protect 100% of your Skin Terrain. in as little as 3 Days! A Most Complete system designed to treat and prevent the signs of aging. Both helps to fight acne internally and externally for lasting clear skin! Minus Kit-3 CAN PREVENT those marks. We will currently limit the numbers of channel partners / reseller / distributor for each country. So hurry up if you want to be a part of this program. Opportunity may be closer than it appears! Apply Now How it works? Ag-Factor™ is not a drug and is not intended to diagnose, treat or prevent any disease. Ag-Factor™ is suitable for all genders, above the age of 11. Individuals who are allergic to dairy protein should seek advice from physician or other medical professional. If you are pregnant or lactating, it is best to consult your physician before start taking Ag-Factor™. Results may come gradually as Ag-Factor™ is a natural product. Result varies from individual to individual as people are different physiologically. Some may obtain satisfying results, smoother and radiant skin after regular consumption (of 2 capsules a day) of Ag-Factor™ for 3-4 weeks. Some may require longer time (about 1-2 months). We do not guarantee that every individual will obtain the same results after taking the product. The text contained in this website is for informational purposes only and is not meant as a substitute for the advice provided by you physician or other medical professional. You should not use the information contained herein for diagnosing or treating a health problem or disease, or prescribing any form of medication. 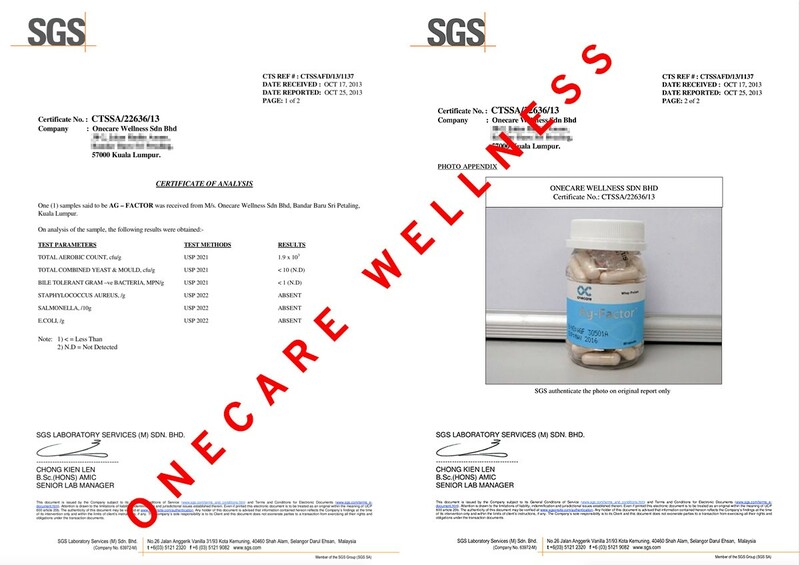 ©Onecare Wellness Pte Ltd. All rights reserved. Sign Up? / Forgot your password?